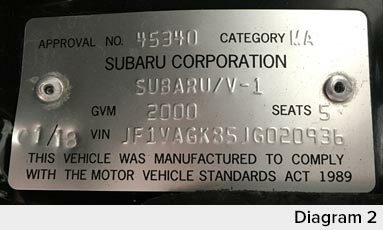 Please use the Subaru of New Zealand VIN Checker below to see the status of your Subaru in regards to the Takata Airbag Safety Recall. A message will be displayed once you have entered your VIN advising your vehicle status and the next steps you need to take, if any. Please enter your VIN below to check if your vehicle is subject to a recall. Your VIN is 17 characters long. The V.I.N. 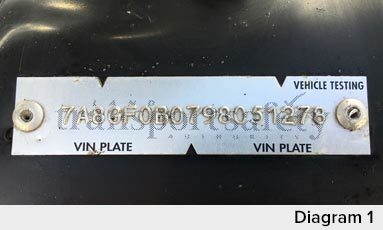 (Vehicle Identification Number) is the unique code that is applied to your vehicle when it is manufactured. This code is only ever used once and identifies your exact car. The V.I.N. is recorded and located in a number of locations which can vary from model to model. Locations can include the vehicle firewall, build plate located in the engine bay or base of the passenger side ‘B’ pillar. 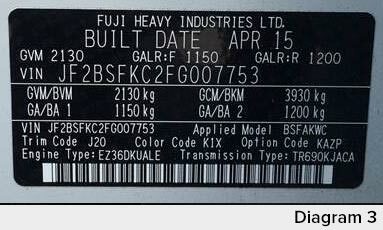 Diagram 1 shows an example of the easiest location to access if your vehicle is a Japanese Import Vehicle – the build plate located in the engine bay. 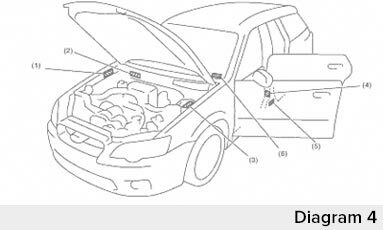 Diagram 2 shows an example of the easiest location to access if your vehicle is a New Zealand New vehicle – the build plate is located in the engine bay. Diagram 3 is an example of the build plate located at the base of the passenger side ‘B’ pillar. Diagram 4 shows all other places to locate your V.I.N. Subaru Corporation, the Japan-based manufacturer of Subaru vehicles, has advised Subaru of New Zealand that a range of Subaru vehicles equipped with Takata front passenger airbags may have an increased potential for moisture intrusion over time. These airbag inflators may fail in an accident and explode sending fragments into vehicle occupants. Failure of the airbag inflator can cause serious injury or death. For this reason, Subaru of New Zealand is conducting a Safety Related Recall on behalf of Subaru Corporation through our nationwide Authorised Dealer Network. While there haven’t been any known Takata airbag failures in New Zealand, we take safety very seriously and want to ensure your Subaru is as safe as possible. Check the status of your vehicle using the VIN Checker. A message will be displayed if your vehicle is identified as being subject to recall, and will explain the next steps. Register your vehicle details on our Owners Registration page to enable Subaru to communicate with you if your vehicle is part of the Takata airbag recall, or if its becomes part of the Takata airbag recall in the future. This is important because vehicle status is subject to change on a regular basis. In addition, on 4 April 2018 the Minister of Commerce and Consumer Affairs issued the Compulsory Takata Alpha Airbag Recall Order 2018, which orders a mandatory recall for a certain subset of the airbags manufactured by Takata. That order takes effect on 31 May 2018. We are making the necessary preparations to comply with that order and will update this page as soon as possible. This search tool is provided for information purposes and is to search records of Subaru vehicles only. Due to the nature of the recall, vehicle status is subject to change on a regular basis as updated information is provided. We strongly encourage you to register your vehicle details on our Owners Registration page to enable Subaru to communicate with you if our affected vehicle status changes and your Subaru becomes part of the Takata airbag recall. For any other questions, please check out our Takata FAQs below. If you have questions about the Takata Airbag Recall and how it might affect you or your vehicle, read some of the frequently asked questions below. How do I know if my Subaru has been affected by the Takata Airbag recall? Use the Subaru VIN checker above by entering your 17 digit VIN number, which will reveal the current status of your Subaru vehicle in the Takata Airbag Safety Recall. I have received an initial Notification letter regarding the TAKATA Airbag Recall, what do I need to do next? Nothing. As there over 100 million vehicles affected, parts supply can take some time and the purpose of this initial notification letter is to inform you that your vehicle is affected by this recall. We ask for your understanding and patience as we await parts supply. Rest assured we will be in touch with you as soon as parts for your Subaru arrive with a second letter. You can register and update your contact details on our website to ensure prompt communication through email. I have been waiting for my second letter for a while now. Do I need to contact Subaru to let them know? There may be some delay in receiving your second letter due to the aforementioned parts supply constraints. Please rest assured that we will contact you with your second letter once the parts become available for your Subaru, you do not need to contact us again. If you have changed your contact details, you can get them updated by visiting https://www.subaru.co.nz/owners/owners-registration. This will ensure there is no delay and we are able to get in touch as quickly as possible. I have received my second letter regarding TAKATA Airbag Recall that identifies parts for my Subaru have arrived, what do I need to do next? Please contact your nearest Authorised Dealer to arrange a time suitable to complete the recall. You can find your nearest Authorised Subaru Dealer by visiting https://www.subaru.co.nz/buying/locate-a-dealer. While there haven't been any known airbag failures in New Zealand, we take safety very seriously. It is important that you act promptly to complete the recall, as many customers are not taking action, following our notification that parts are now available to complete the airbag replacement. It won't cost you anything and won't take long. I have sold my vehicle, what do I need to do? I have not received any letter and think my car may be affected, what do I do? To register or update your details with Subaru, click here. If you still have further questions, please contact Subaru by filling out the form here.